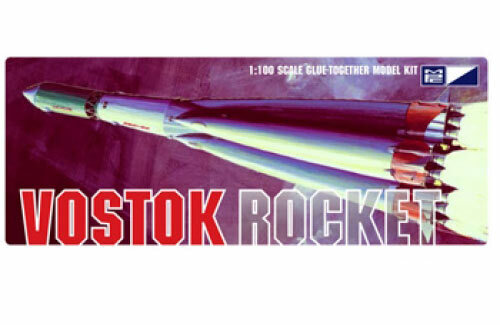 This display (parts not included to convert to a flying model rocket) model of the Russian Vostok rocket represents the craft that started the "space age" by taking the first satellite and later, man into space. This platform of rocket has remained in use today having launched both Soyuz and Progress Spacecraft on behalf of Russia and the European Space Agency. The kit features the rocket's four distinct tapered boosters and includes Sputnik 1 satellite payload. First Time Available in Decades!